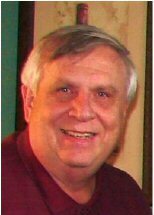 Genealogy lecturer and author Stephen M. Szabados will present his program “Researching Your Chicago Ancestors” at 2 p.m., Sunday, July 28, 2013, at the Jewish Genealogical Society of Illinois meeting in Temple Beth Israel, 3601 W. Dempster St., Skokie. Szabados will review what sources are available and where they can be found. His program will touch on vital records, state and federal records, employment records, neighborhood histories and much more. He will discuss online resources as well as genealogy collections at local and other libraries. Szabados has traced his ancestors back to the 1600s in New England and the 1730s in Poland, Germany, Bohemia and Slovenia. He is the author of two genealogy books, “Finding Grandma’s European Ancestors” and “Finding Your Family History: Steps to Get Started.” He is also the genealogy columnist for the Polish American Journal.